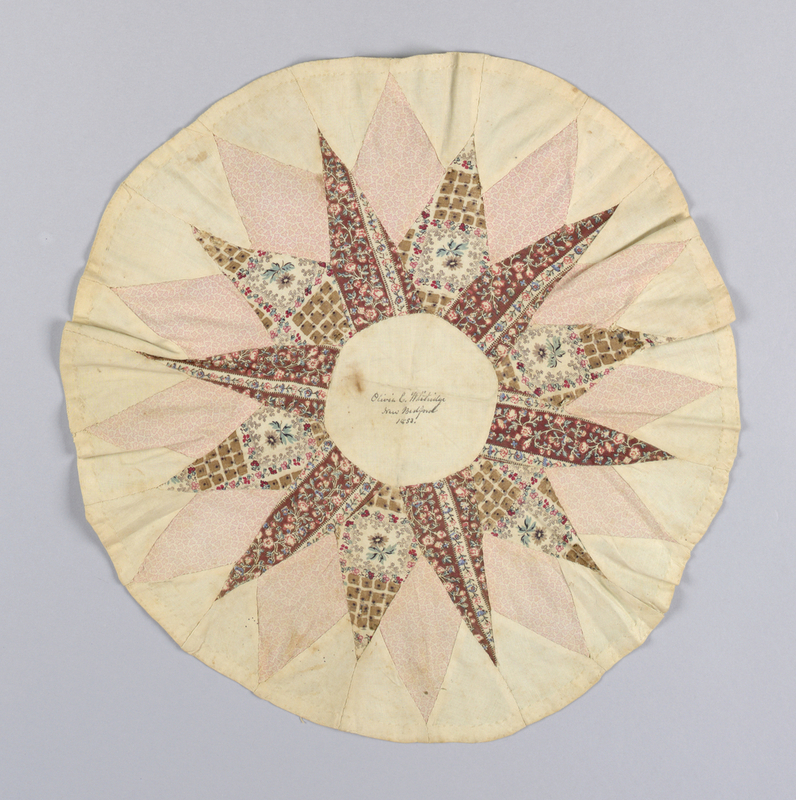 The design includes a circle of plain ivory cotton in the center, on which is written in dark brown ink: “Olivia C. Whitridge, New Bedford, 1853.” It was most likely intended to be part of a “Friendship Quilt.” In the nineteenth century, friendship quilts were a part of the social fabric of life at all economic levels. One common practice was for the friends of a bride-to-be to come together to create a quilt as a wedding present. Each quilter was responsible for making one square; the completed and signed squares would be joined together to create a quilt. A friendship quilt might also be made for a friend who was moving away, to remind her of her dear friends back home. Jeffery McCullough is a recent graduate of the Masters Program in the History of Design and Curatorial Studies offered by Cooper Hewitt, Smithsonian Design Museum in conjunction with Parsons School of Design at The New School. Shaw, Robert. American Quilts: The Democratic Art (New York: Sterling, 2014), 49. Baumgarten, Linda and Kimberly Smith Ivey. Four Centuries of Quilts (New Haven: Yale University Press), 124.